I have a canopy bed and this bedspread is so perfect for it. I can not say enough good things about it. I love it! 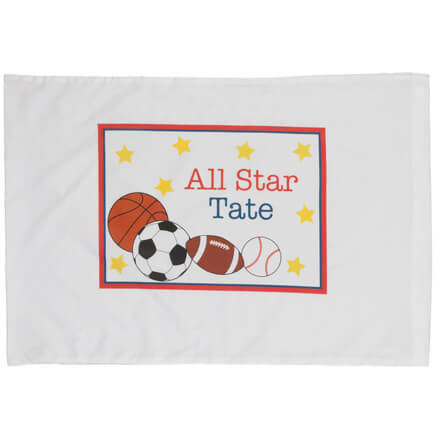 The Product excellent, customer service superb,shipment prompt. What else is there? Great sale price when we purchased. My husband says it gives the bedroom a homelike feeling. 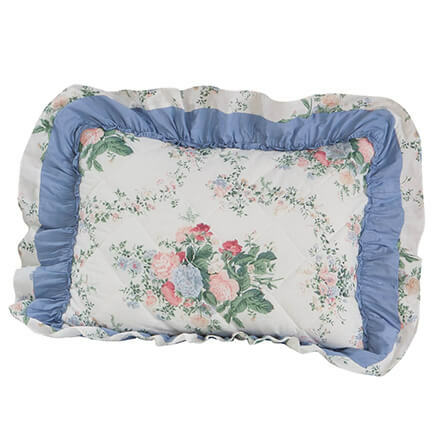 I love chenille bedspreads and this one is pretty and affordable. Love it! Perfect lightweight bedspread for desert dwellers! 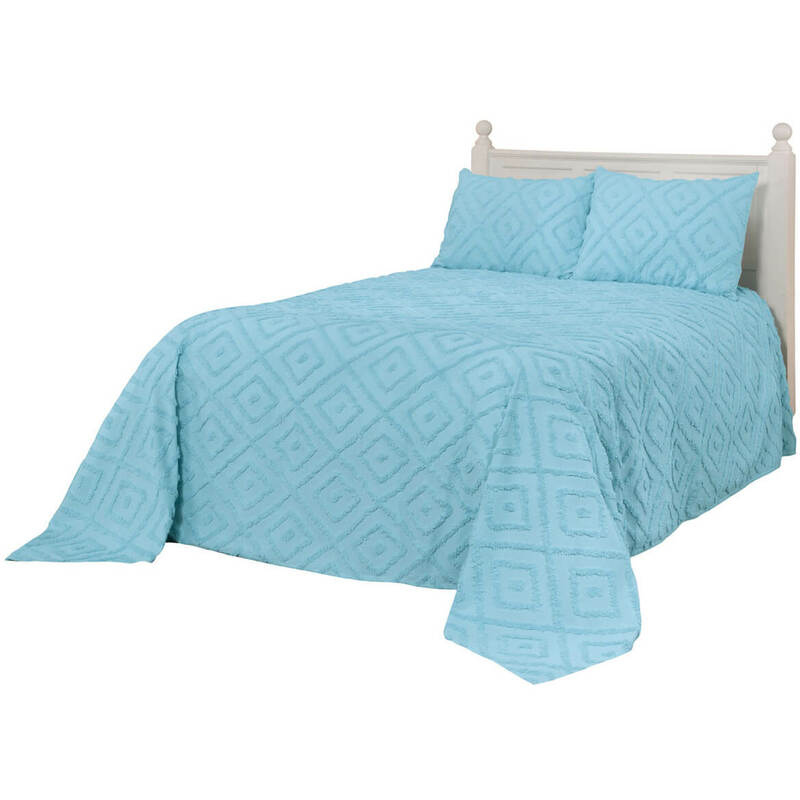 I like chenile bedspreads because they are easy care and easy to work with especially when you need a king size. Wanted one for years. Reminds me of visiting Grandma's. To use as coverlets on antique sofa and chair & having no fringe for pet cats to pull is plus! Have been wanting chenille bedspread. Right price! I've been looking for an old-fashioned Chenille Bedspread for a while. I like this one the most because it does not have the fringe all around it, and it looks like it has good body to the bedspread. I'll know more when I receive it and put it on my bed. Thanks! 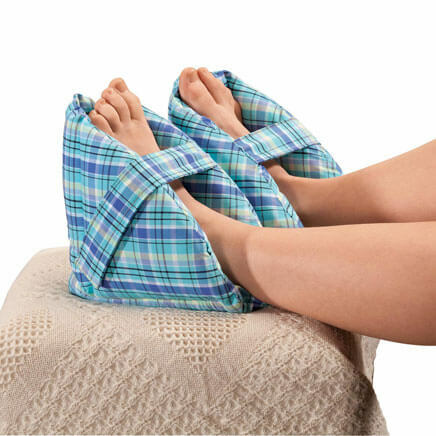 my mother had these when i was a kid and i want another for my bed. I love Chenille bedspreads and it is difficult to find them. Do shams come with spreadl? BEST ANSWER: Thank you for your question. 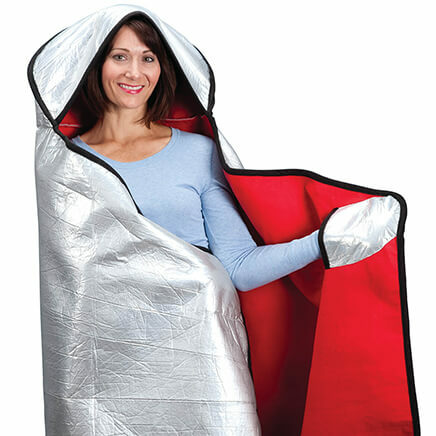 No, the shams were sold separately, they are now retired. We hope this information will be of help to you. please tell me the dimensions of the king spread? BEST ANSWER: Thank you for your question. The measurements for the king spread is 110" x 120". We hope this information will be of help to you. Dimensions of the queen size spread? BEST ANSWER: Thank you for your question. The queen size spread is 114" x 102". We hope this information will be of help to you. What is the color of this spread? BEST ANSWER: Thank you for your question. The green shown in the picture is Sage. We hope this information will be of help to you. Thank you Kendra, but it was the off white that I was interested in, it has a look of peachy pink maybe because it is shown with a peach colored walls. WHAT ARE THE MESURMENTS FOR THE KING SIZE? BEST ANSWER: Thank you for your question. The king size is 110 X 120. We hope this information will be of help to you. BEST ANSWER: Thank you for your question. 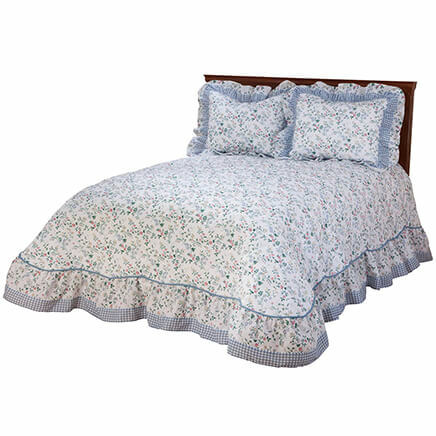 The Laura Chenille Bedspread in a a twin size measures 80" by 110". We hope this information will be of help to you. what size are the shams for the Laura Chenille? BEST ANSWER: Thank you for your question. The sham is a standard size of 20" x 26".We hope this information will be of help to you.